"If your business isn't highly visible online you are potentially losing quite a substantial amount of business"
I'm sure like everyone these day, you use Google, Yahoo or Bing in your daily life, maybe just to get a phone number of a possible local supplier or service company. Therefore it stands to reason that if you can improve your visibility online that your business will grow - alternatively if they aren't finding you but finding competitors you indirectly are making your competition stronger. 1. Building mobile friendly landing pages. We build mobile friendly landing pages that give businesses a presence on ALL the major search engines. We can do this for a set up fee of only £129 and then maintain it from only £25 per month with NO MINIMUM CONTRACT. Not every business needs a website but every business should have a prominent search engine listing. Contact us or simply complete the following form and we will get this started - we do it all for you. 2. Build mobile friendly websites. 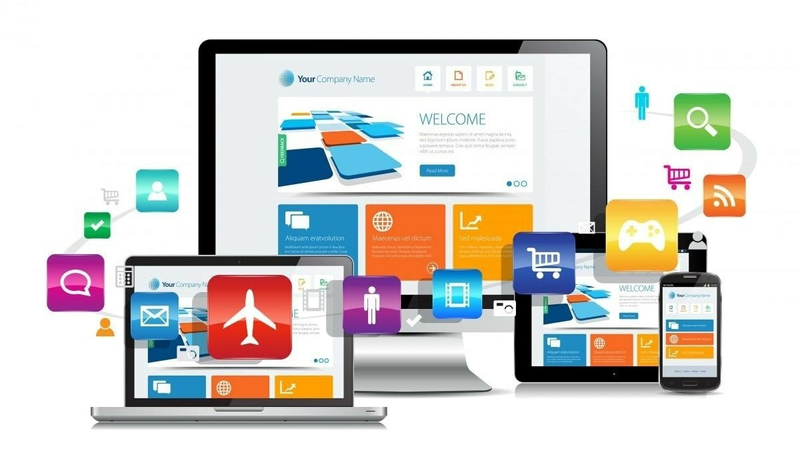 However if your business needs a new website or wants to revamp an existing one Get Your Business Found Online have an experienced team of web designers to look after all your online needs be it a simple three page website or a fully blown e commerce site. With our websites you will be in control of the content and are easy to change and mobile friendly. Contact Us today to discuss your businesses options to GET FOUND ONLINE! Click on the images below to see some of the websites we have designed.